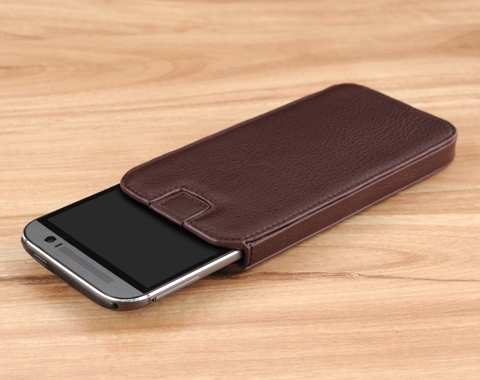 Genuine leather phone sleeves customizable for most of the smartphones. To keep the case slim we require that no protective case or add-on batteries are attached to the phone device. Using the finest workmanship, our team of leather artisans beautifully this slim profile leather sleeve with your choice of genuine leather to give your smartphone the protection and style that it deserves. Once again I went to Story Leather to replicate an entirely new design that is not in its inventory. After talking to them and sending them an example of what I wanted, they crated the ideal phone pouch, once again. This is the second time I have asked them to do something like this and the second time they delivered a perfect product. Nice work! It is always good to find a company that takes pride in their product and it is evident that Story Leather is one of those companies. The case is very well made on the one who made it and the one who owns it. This is my 3rd case ordered, the wait for a quality product like this is well worth it, I don't think anyone can even come close to making a case of this quality. Nice case! Exactly what I wanted and ordered. Very fine craftsmanship. I am proud to use it. This is an absolutely perfect case for my Samsung Edge, superb quality all the way. Long wait to get it, but worth it. I had it custom made with modifications. Everything was done exactly to order. I tried other cases, but the Boxxee is definitely high quality products and workmanship. Would recommend a speaker slot in the bottom so I can hear the ring. I like the quality of the phone case for my G5S. I just received it and time will tell. I ordered this case on line when I got my new iPhone 6. I had to wait quite a while, although they warned me of that when ordered the case. It was worth the wait. 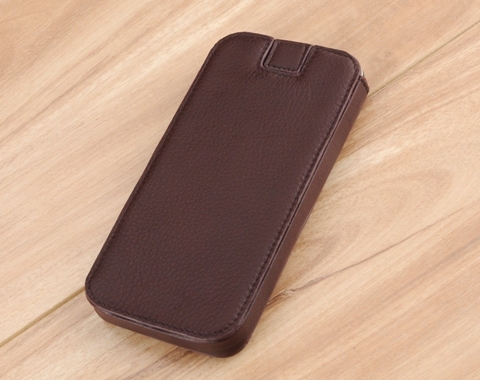 The leather and workmanship are very nice and the case is sturdy. I am sure it will protect my phone well. I like to put the phone/case in my back pocket and it fits well into work cloths or jeans. 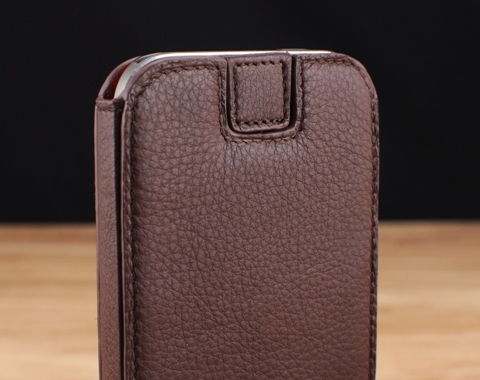 I just received an Note-4 leather case from Story Leather. But actually, this is probably my fourth purchase over all from them. Previously I had purchased my smartphone Samsung 4 case as well, from them. This Company puts out custom made products of superior quality, quality not found in the big box stores. I was lucky to have found them. Excellent quality, great variety of leather options and at a competitive price. I frequently am asked about my cases from friends and associates alike. Thanks Story!! 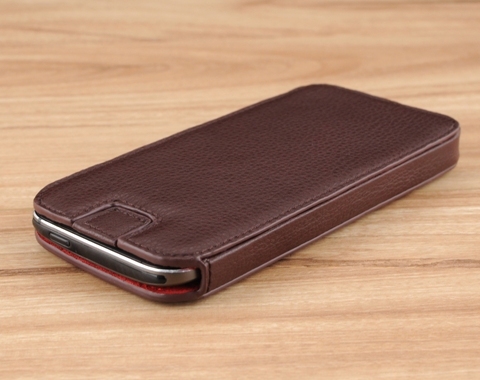 GREAT PRODUCT Review by "Sundsance Kid"
THIS IS THE 2ND IPhone CASE THAT I'VE BOUGHT. IT''S JUST A GREAT PRODUCT, WORKMANSHIP IS EXCELLANT. YES YOU HAVE TO WAIT AWHILE BUT THE END RESULT IS WELL WORTH IT. YOU WANT SOMETHING IN A HURRY THAT IS POORLY CONSTRUCTED THEN ORDER IT FROM SOME OUTFIT THAT HAS EVERYTHING MANUFACTURED IN CHINA. YOU ORDER SHXT YOU GET SHXT. We bought it for a friend who couldn't find the phone case she had in mind: she opened the box today and was stunned by how beautiful, well designed and smart the Boxxee Slim Sleeve with Pull Out Strap was. It arrived beautifully wrapped, to add to the pleasure. Lovely experience! I highly recommend this product! Long delivery time, but worth waiting for. Expensive, but worth the money. Nicely packaged. Perfect as a gift to the man who has everything. The boxxee case took a while to arrive, but it was well worth the wait as the case was immaculately constructed and very tastefully designed. I am very pleased. Came to me in exactly the way requested. Case workmanship is great. It does take a month or so if you request a custom case design. As I said I was pleased and would order another from them. I am very pleased with Boxee case,it is one of the nicest and functional cases that I have owned. This was the case I have been looking for and unable to find. It fits the phone perfectly and now I understand why it takes a month to get after ordering. Really great workmanship. I'm completely satisfied.